Warning – Indicates the warning of a possible hazard. Mandatory – Indicates a specific course of action to be taken. Prohibition – Indicates certain behaviour is prohibited. Health & Safety – Indicates first aider and box locations. Fire Equipment – Non-automatic fire equipment needs a sign. 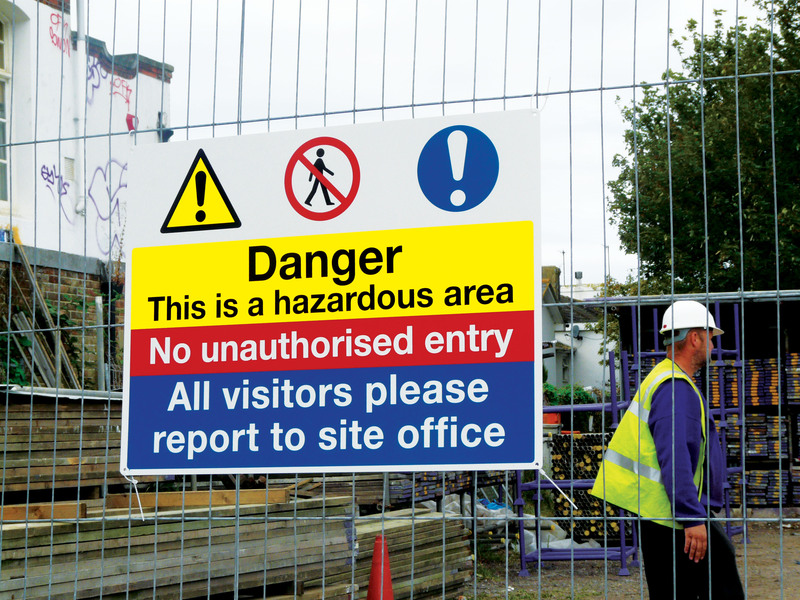 Hazard – Identification of potential hazards. Our main sign manufacturing facility is located in Colchester, Essex – providing strong transport links for Same Day jobs across the country. 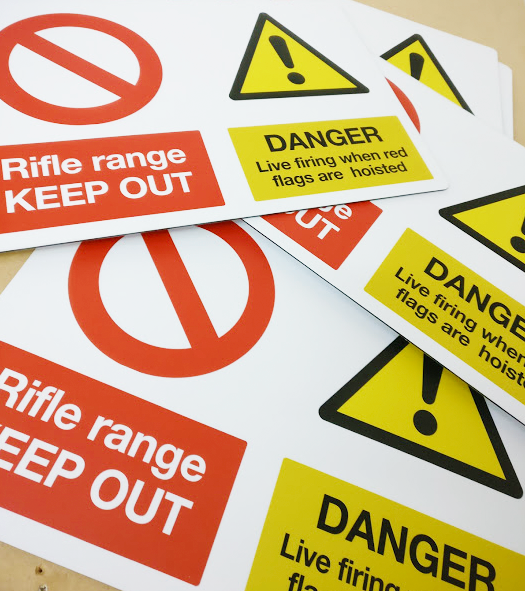 Our ability to turnaround same day signs including delivery or installation makes us the prime choice for many businesses, retailers and individuals locally and nationally. We have recently worked with Tesco, Audi, Universal Studios and Veolia on last minute jobs. You can visit our showroom and production facility in Essex to view samples, materials and our wide range of sign options. Please call us for a bespoke quote on 0203 167 0400.